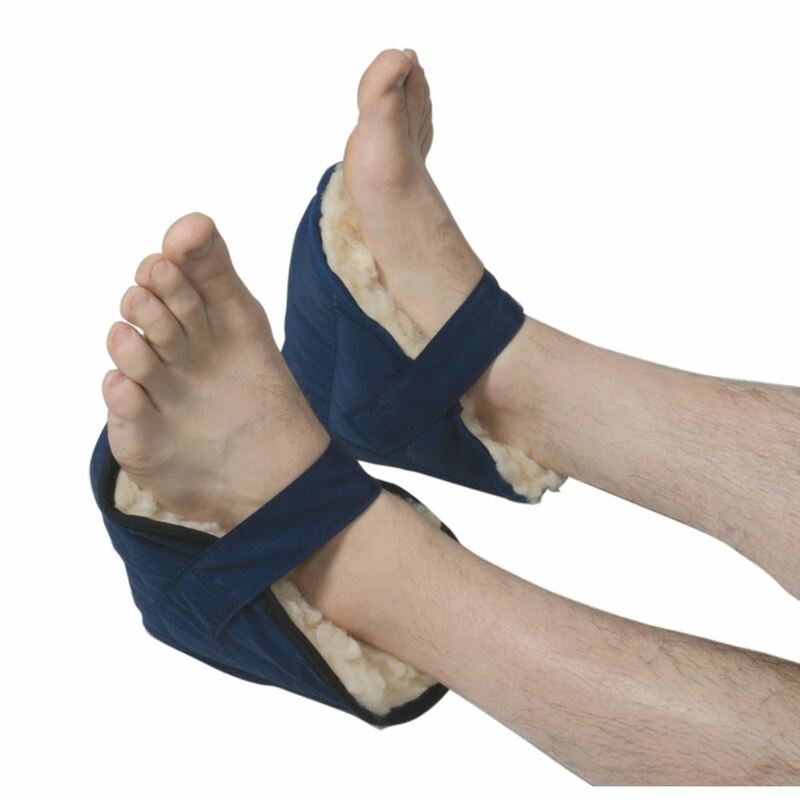 AliMed® Fleece Heel Cup cushions heel in bed or chair to help prevent skin breakdown. Won't roll off heels. 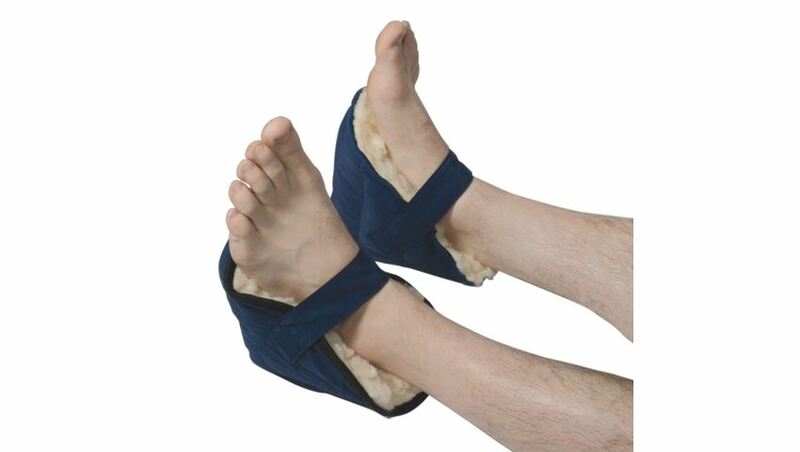 Low-friction nylon outer covering helps heel cup slide easily on bed linens to maintain proper position on heel. Fully padded to protect heel and malleoli. Synthetic fleece interior reduces pressure. Washable.